We at DreamStar Institute celebrate the many benefits of dreamwork, yet recognize that there are potential risks. 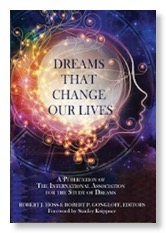 We agree with the ethical position taken by the International Association for the Study of Dreams, in that we support an approach to dreamwork and dream sharing that respects the dreamer's dignity and integrity, and which recognizes the dreamer as the decision-maker regarding the significance of the dream. 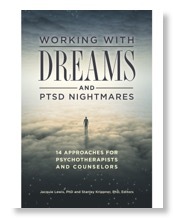 Systems of dreamwork that assign authority or knowledge of the dream's meanings to someone other than the dreamer can be misleading, incorrect, and harmful. 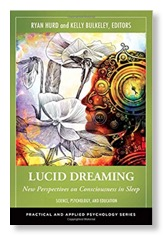 Ethical dreamwork helps the dreamer work with his/her own dream images, feelings, and associations, and guides the dreamer to more fully experience, appreciate, and understand the dream. It is my conviction that the FiveStar Method represents a less invasive approach to dream analysis than the traditional content-focused approaches. I have written about this on my blog, but the content of that short essay can be found here, too. Every dream may have multiple meanings, and different techniques may be reasonably employed to touch these multiple layers of significance. A dreamer's decision to share or discontinue sharing a dream should always be respected and honored. The dreamer should be forewarned that unexpected issues or emotions may arise in the course of the dreamwork. Information and mutual agreement about the degree of privacy and confidentiality are essential ingredients in creating a safe atmosphere for dream sharing. We recognize and respect that there are many valid and time-honored dreamwork traditions. We invite and welcome the participation of dreamers from all cultures. 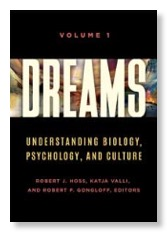 There are social, cultural, and transpersonal aspects to dream experience. In this statement we do not mean to imply that the only valid approach to dreamwork focuses on the dreamer's personal life. Our purpose is to honor and respect the person of the dreamer as well as the dream itself, regardless of how the relationship between the two may be understood.